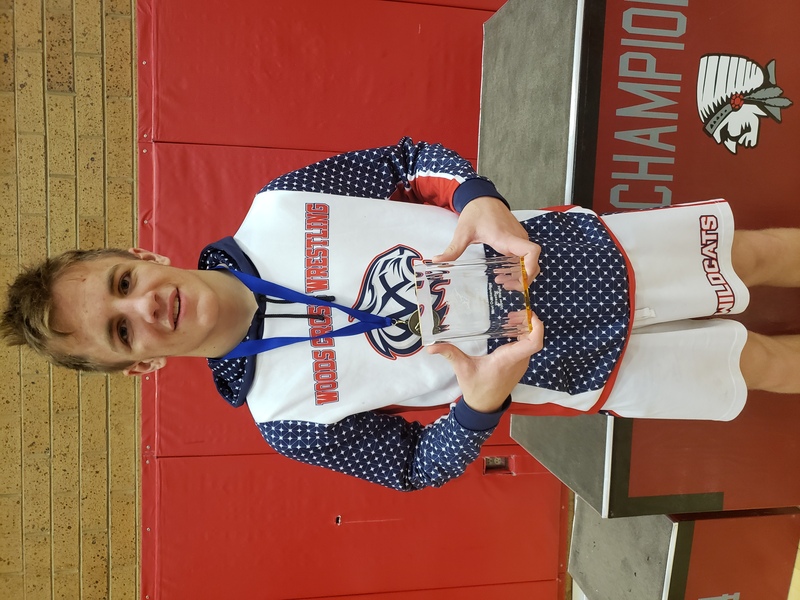 Well another fantastic weekend with the Woods Cross wildcat wrestling team 2019 battle of the brave 24 teams in competition overall the wildcats finished 4th as a team individually Colton Erickson at 113 placed 1st tournament champion at 138 pounds Saco Alofipo placed 2nd in the tournament at 152 Christian Smoot placed 1st as the tournament champion and was also awarded the most valuable wrestler for the tournament. Jonathan Bancroft took 1st on the JV side at 152 winning the tournament. At 170 pounds Connor Riesenburg placed 2nd in the tournament and Askete Alofipo placed 4th. At 195 pounds Andy Noel placed 5th the team is pushing hard and practicing hard preparing for divisions we take on the mountain crest Mustangs on Wednesday for senior night and we will be at Roy for our last region dual Thursday night.